The Open Education Consortium and Politecnico di Milano (Polimi), hosts of the Open Education Global 2019 Conference to take place in Milan, Italy, 26-28 November 2019, invite proposals for conference sessions. The Open Education Consortium is a global network of educational institutions, individuals and organizations that support an approach to education based on openness, collaboration, innovation and collective development and use of open educational materials. Politecnico di Milano is Italy’s largest university for Engineering, Architecture and Industrial Design: quality of research, teaching innovation and a fruitful cooperation with the industrial system are among its key strengths. The theme of the Open Education Global 2019 Conference is Open Education for an Open Future – Resources, Practices, Communities. This theme aims to emphasize opportunities offered by Open Education as a means to empowerment and to increase accessibility and quality of educational opportunities for all. Under this theme, the Conference serves as a platform to imagine scenarios and discuss strategies to help safeguard an Open Future. Clarity and coherence – The abstract explains the aims and development of the proposal in a clear and understandable way, in consistency with the requirement of the call. Originality – The proposal explores a new or novel idea, project or issue; it discusses existing research with promise of new insight, it discusses new research; or it presents new ways of considering existing information. Relevance – The topic is relevant to open education and it contributes to research and/or effective practices in the field. Takeaways – The session includes key takeaways for participants to consider alternative practices and processes. The 2019 Conference features the following session formats. Please review the session format descriptions and requirements for more details. What is my proposal going to discuss? Why is it useful for participants to join me? Which criticalities (weaknesses, obstacles, etc) do I foresee to explore through discussion? Did we came up with a useful discussion? What did the discussion add to the previous knowledge/perspective/understanding we already had on this issue? Did we find solutions to the criticalities? Any further steps foreseen by participants? The videos will be collected on the OE GLOBAL 19 website and will be part of the shared results of the conference. Presenters will be provided with additional guidelines at a later stage. Proposals (written in English) to be submitted through EasyChair website. If you would like to lead a session in a language other than English, please contact conference@oeconsortium.org. Topic (selected from the list above). Please note: while your proposal may be relevant for more than one topic, we ask that you limit your selection to only one topic per track. Additionally, during the proposal submission process, please indicate if you have interest in submitting a paper to the special edition of the Open Praxis journal. If you would like to be considered for inclusion in Open Praxis your extended narrative needs to have a minimum of 1,200 words and a maximum of 5,000 words (please see below for additional information). Please read farther below for more information about this opportunity. When you submit your proposal, you will receive an automated confirmation email. If you do not hear from us, please contact us at conference@oeconsortium.org. During the conference, some talks may be video recorded and made available online. Presentation slides and papers will be available after the conference. All submissions and presentations must be licensed under the Creative Commons Attribution 4.0 License. By submitting a proposal you agree to these terms. 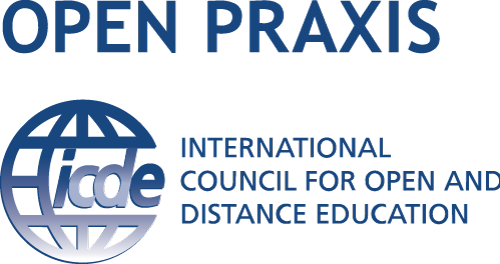 We are very pleased to announce that Open Praxis will publish a selection of papers from the Open Education Global 2019 conference. Please see the Open Praxis guidelines for more information if you are interested in your paper being published.